Ladakh is a land like no other. Bounded by two of the world's mightiest mountain ranges, the Great Himalaya and the karakoram, "land of high passes" is a region of Jammu and Kashmir, the northernmost state of the Republic of India. It lies between the Kunlun mountain range in the north and the main Great Himalayas to the south, inhabited by people of Indo-Aryan and Tibetan descent. Ladakh is renowned for its remote mountain beauty and culture. It is sometimes called "Little Tibet" as it has been strongly influenced by Tibetan culture. The Ladakh range and the Zanskar range, Geologically this is a young land, formed only a few million years ago by the backling and folding of the earth's crust as the Indian sub -continent pushed with irresistible force against the immovable mass of Asia. 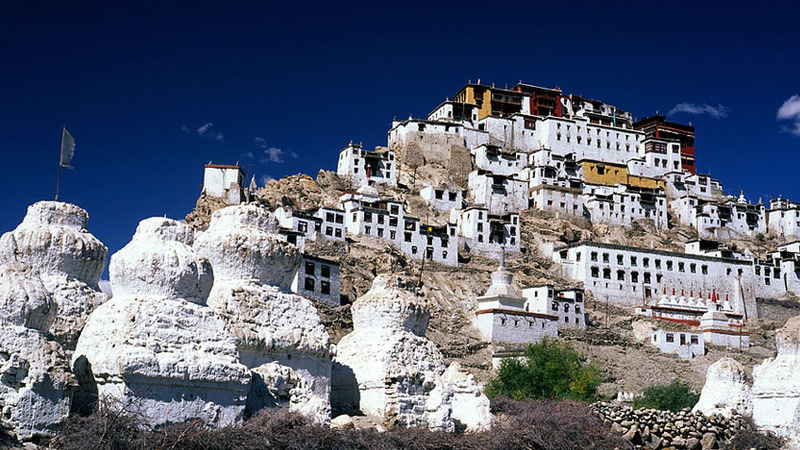 Ladakh lies at altitudes ranging from about 9,000 feet at Kargil to 25,170 feet at Saser Kangri in the Karakoram. Thus summer temperatures rarely exceed about 27 degree in the shade, while in winter they may plummet to minus 20 degree even in Leh. Surprisingly though, the thin air makes the heat of the sun even more intense than at lower altitude.